Tenant renewal rights claims: the new trend? Landlords will be aware that commercial tenants are entitled to statutory renewal rights if they have been in continuous exclusive possession of a property for more than five years. This is why most lettings require a tenant to sign deed renouncing these rights which effectively protects the landlord's ability to manage their property and adds to the value of the property. Investors should always be looking out for a valid deed of renunciation when purchasing a tenanted property. In today's market, this is going to become even more important. During the recession, lots of deals and tenancies were re-negotiated and re-geared. Sometimes nothing was done with leases that expired mostly because some landlord's were happy to have a sitting tenant who was able to pay rent (at whatever level they agreed). Now as the dust settles, an emerging trend of tenants claiming statutory renewal rights is beginning to emerge. These claims are always fraught and costly. It will involve negotiating a potentially large compensation claim, and, based on some recent examples around Dublin amounts being claimed are high. To bring the matter to Court (which either party is entitled to do) is going to bring the additional cost of litigating on top of a possible compensation award and there is no real way of forecasting what the Courts will deed to be a reasonable amount. It's a roll of the dice as to the outcome. The OPW's claim in relation to Harcourt Square is only one of many that are emerging at the moment. The need for reviewing leases, deeds of renunciation and assessing the interaction of the landlord and tenant with a fine tooth comb will become even more important now when acquiring properties. Investors will need to be able to get clarity on this in the acquisition of property and it is advisable to budget for a "rainy day" fund if they are taking a view on a property which may likely have a tenant compensation claim. Clarity on the position which the courts will take in the current market would be welcomed. Hibernia acquired the site for €70 million in 2015 but it is currently at the centre of a legal dispute with the Office of Public Works (OPW) as Hibernia is seeking vacant possession of the site. 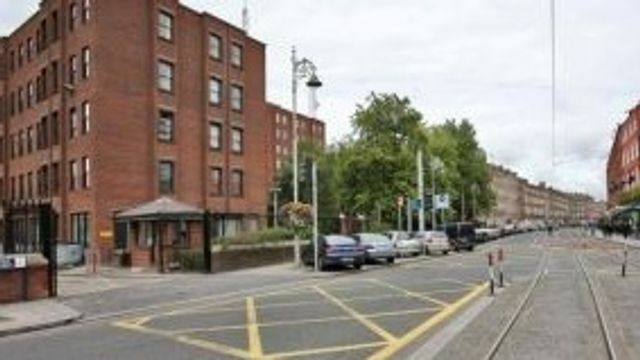 It’s understood that no alternative accommodation has been lined up for the 500 people working in Harcourt Square, in the event that Hibernia moves to redevelop the site.